“It’s just been a fascinating treasure trove of benefits that we’ve uncovered,” Buck said. 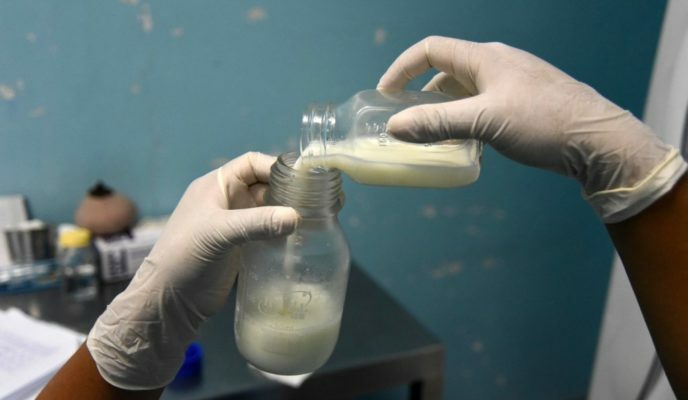 “Never assume that the addition of a component of human milk actually makes the formula like human milk,” said Steven Abrams, chair of the American Academy of Pediatrics committee on nutrition. “It’s not,” said Abrams, a Dell Medical School professor at the University of Texas at Austin. After two decades of research, Abbott was first to bring HMOs to the U.S. baby nutrition market in 2016. It’s now expanded to 15 countries. Nestle last year rolled out HMO formula in Gerber and other brands across 40 countries. HMOs nourish bacteria that “train” immune system cells, 80 percent of which reside in the gut, said Jose Saavedra, Nestle chief medical officer. While some research indicates advantages to HMO-enhanced formula, it’s not clear that there’s a long-term health difference, Abrams said. In the U.S., babies fed generic formulas, which are as much as 50 percent cheaper, have outcomes “every bit as good” as those fed pricier formulas, Abrams said. “This is just the beginning for HMO,” she said.